Wrath & Glory is the upcoming 40K RPG. I just got to play it with its designer and here are my thoughts. 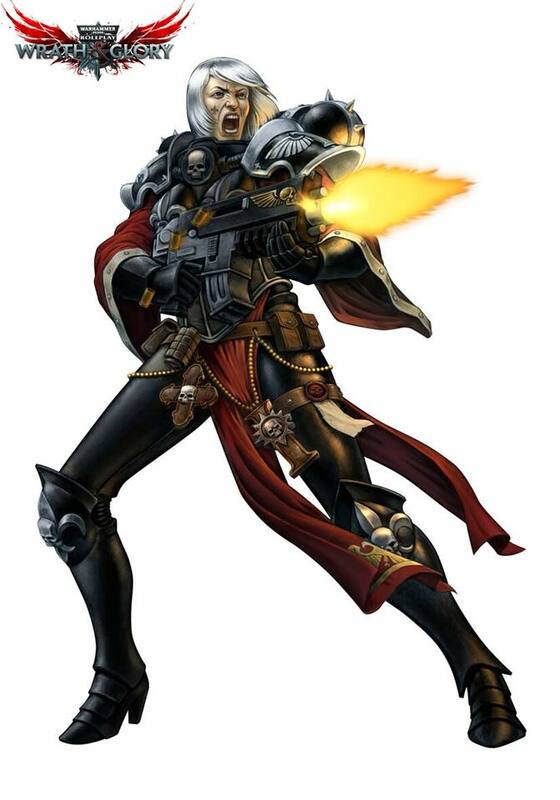 Produced by Ulisses and designed by Ross Watson Wrath & Glory is a hot new 40K RPG coming out later this year. Now I’ve been playing 40K itself, as well as various RPGs for about two decades, and played both the old WFB RPG and Dark Heresy for years. 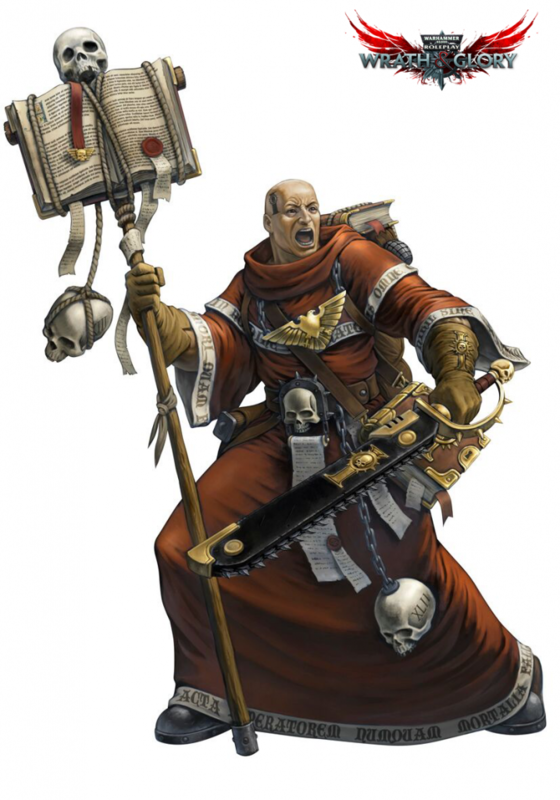 Given all that I’ve been following the news about Wrath & Glory avidly. Last night Ross Watson himself came by the BoLS studio and ran us through a handcrafted session (bespoke even) giving us a look at the game. We’ll have it up on the site later today. Here are my initial thoughts. Wrath & Glory is a D6 dice pool based RPG. That means that all your skills checks and attacks rolls are done by building a “pool” of d6s and rolling them. 4s and 5s count as success (icons) 6s are 2 successes (exalted icons). Each action you take has a target number of successes you are looking for that will tell you if you succeed. It’s a simple and effective system, that doesn’t force players to have a horde of various dice types on hand. 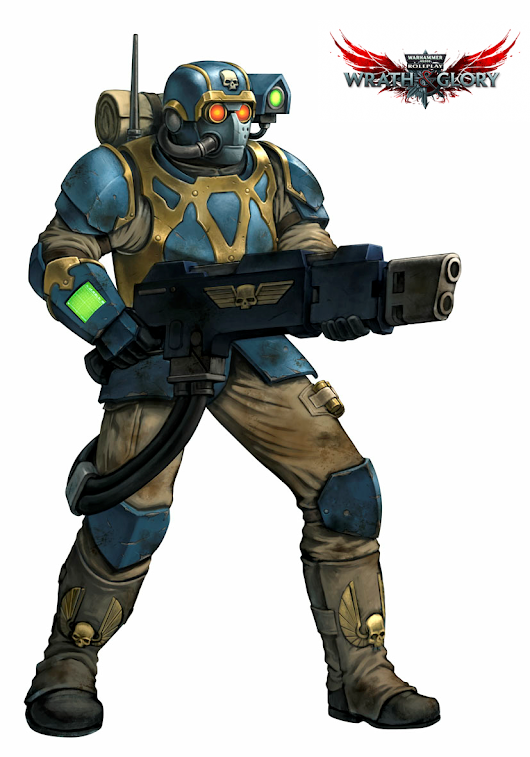 While this sort of system has been used before, Wrath & Glory has a few tricks of its own. The designers have done a great job of balancing pool size, putting some solid caps on pools so you don’t bog a game down rolling 50 dice for one attack. In addition in each pool you roll one of your dice will be a Wrath dice, this dice is special, with a roll of a 1 on it donating some kind of extra failure or complication, and a roll of a 6 donating extra success or a critical. Overall this system has a lot of depth but is very easy to pick up. Basically any thing you want to do is handled the same way and there aren’t a ton of “mini-systems” you have to learn to play the game. It was fun and quick moving. Some game studios when working within an established setting will simply convert an existing game for that setting, grafting on needed parts to make it work. Wrath & Glory did not do this. Rather Ulisses and Watson built a system from the ground up meant to run 40K games. 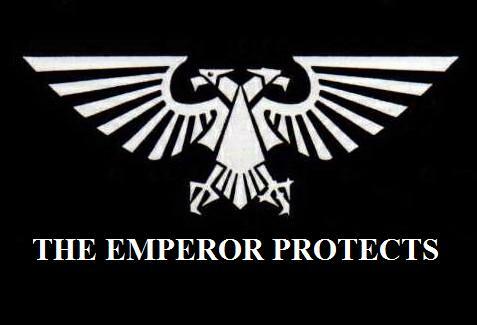 This means that the game oozes the feeling and grit of 40K. Every session and every action you take is meant to invoke something from the 40K universe, and sometimes directly from the tabletop. One of my favorite mechanics that built on this was the player objectives. On each players character sheet they will have listed six objectives. These are unique to your archetype (class in other games). At the start of each session plays will roll a d6 on that chart to determine their objective for the session. Completing the objective gives you some bonuses, but its also OK if you don’t. The best part however was the nature of each objective. They tended to focus towards the role-playing aspects of the game, and ranged among a wide variety of things. Most players had some similar ones, such as reminiscing about your home world. Others were far more focused on your archetype. 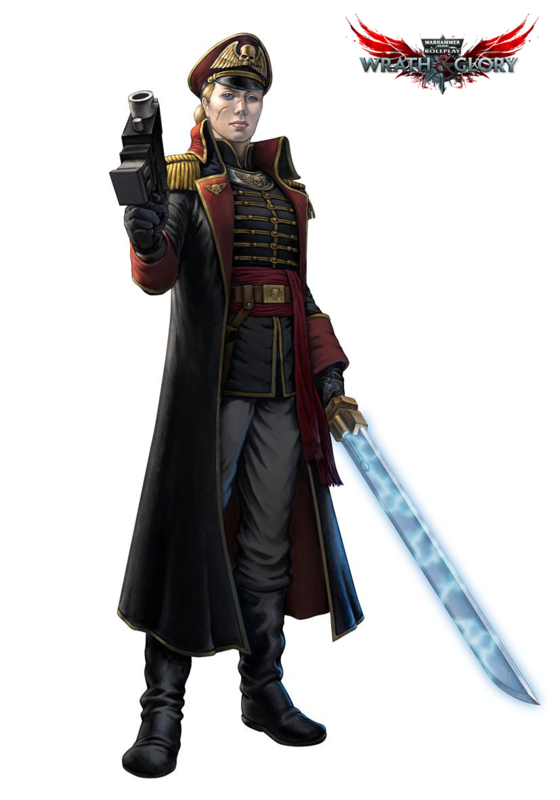 My commissar for instance had the objective of threatening someone with execution for being a coward, the priest on the other hand had to bring up a famous Martyr and how we could learn from their death. All these things helped to hammer home the setting and really immerse us. 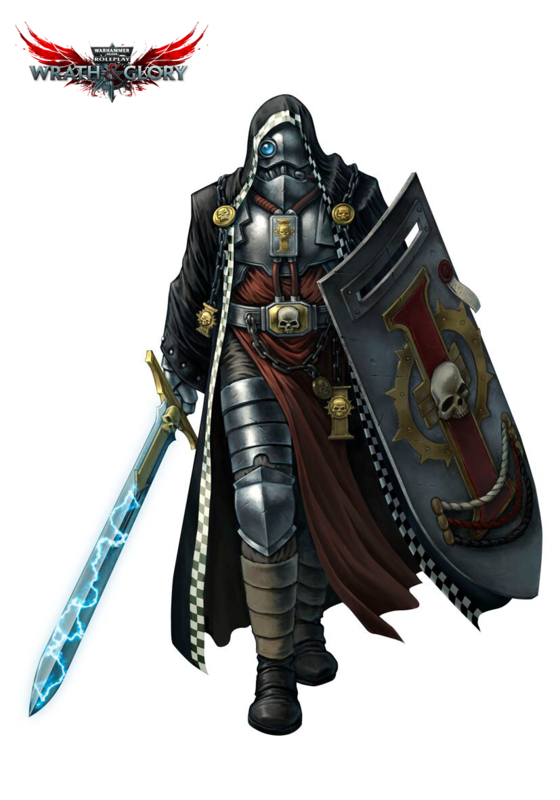 Wrath & Glory uses two special resources in the game, Wrath and Glory. Glory is generally earned through rolling 6s on your wrath dice and goes into a pool the party can pull from. Players can spend glory for a number of effects, the most common being adding dice to a roll or take the initiative in combat. Wrath conversely is tracked by player, you start with 2, and can earn more for good role playing, or completing your character objectives. It can also be spent for effects, such as re-roll your failures on an important roll. Much like the basic dice system this kind of thing has been done before. However I really felt like Watson had perfected these systems with Wrath & Glory. Both resource was rare enough that spending it was a choice and the rewards felt meaningful. However since both pools replenished over the course of the game, and at a good rate, it felt like something that could be spent, rather that saved for say the boss fight. Other systems that have tried similar things often give you too few of the resource for it to have much impact expect on climatic battles. Wrath & Glory is better than that and makes the resource core to the game. One of the more subtle aspects of Wrath & Glory is how well it gets your party to work together. Wrath & Glory does a lot to make each player feel like a useful part of your group and also to encourage creative party building. This is done in a number of small ways, from how it handles group skill checks (amazingly well) to your archetype. Each archetype has some kind of special ability and many of these benefit not just the player but the group. All of these and more small things really help bring groups together. 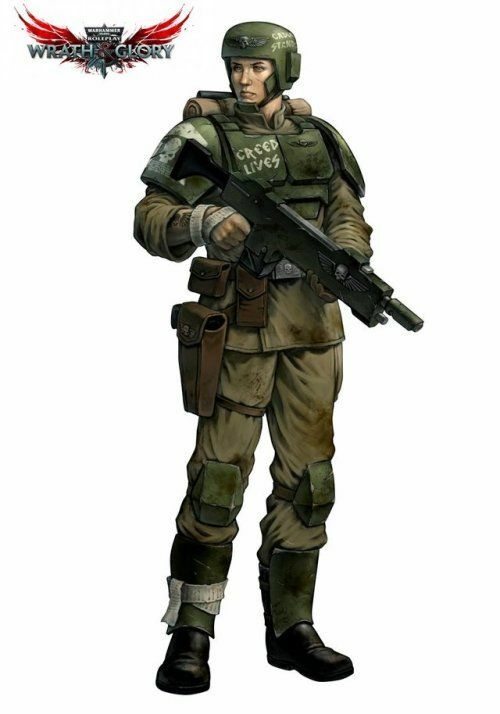 While we stuck with Imperials for our game, one of the exciting parts of Wrath & Glory is that its not limited to followers of the Golden Throne. 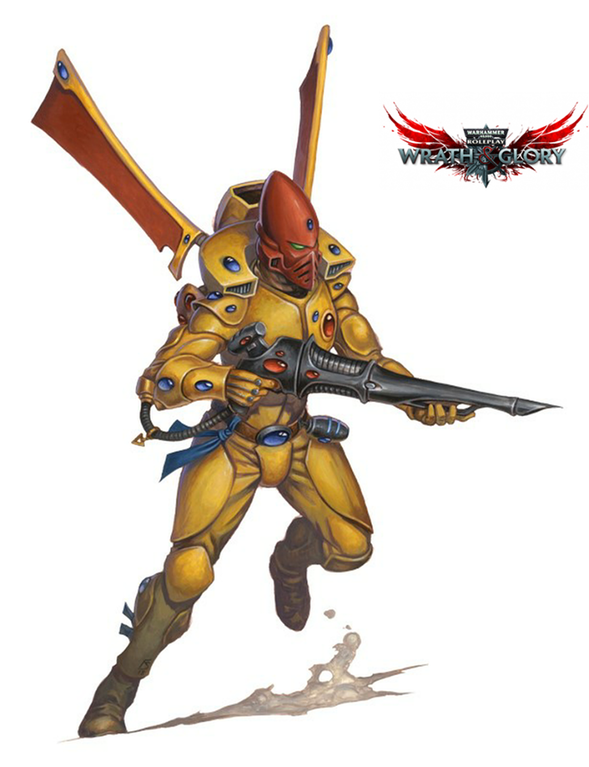 Indeed in its final form W&G will allow you to play as Humans, Xenos(such as Eldar and Orks) and even servants of the Ruinous Powers. This opens up possibilities that simply weren’t there in other systems and leave me really excited for all the cool things you can play. Overall Wrath & Glory was one of the best RPGs I’ve every played and felt like a true 40K game. For players looking to do more role-playing in the Grimdark this is going to be a game you cannot miss. I for one can’t wait till it comes out later this year and plan to dive right into a campaign as soon as I’ve got my hands on it. Let us know how excited you are for Wrath and Glory down in the comments!